Oracle’s VP of Cloud, Tyler Jewell, kicked off this year’s Cloud Expo with a keynote aimed at filling out the company’s vision for its recently announced Oracle Public Cloud. He covered a ton of material, and I won’t try to summarize it here, but I will admit to feeling a growing sense of confusion as the keynote progressed. Jewell kept saying the word “cloud”, but it was rarely clear to me that what he was talking about was “cloud” by any normal definition of “cloud computing,” even taking into account the fact that there’s not even a clear, agreed-upon definition the term. 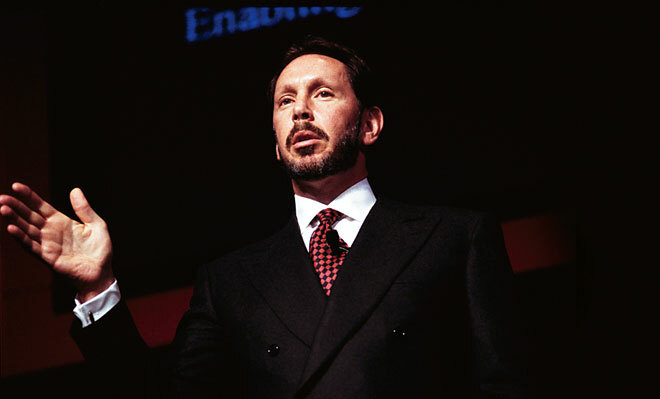 For instance, Jewell made the claim that Oracle has been doing cloud computing for the past 12 years, since launching Oracle On Demand in 1999. My immediate reaction was that lots of people were thinking about SaaS in different forms in 1999—including odd subscription and shrinkwrap combinations—but should we really be calling this stuff “cloud”? He then described Oracle’s enormous, complex cloud offering, some of which is clearly SaaS and some of which is supposedly PaaS. But the thing that wasn’t so cloud-like about it was that the payment model for the whole enchilada is subscription-based and tiered. There’s no metered billing anywhere in Oracle’s cloud. A tiered subscription model is obviously a great fit for SaaS, but the fact that Oracle puts the PaaS side of their cloud offering in this same boat is not only surprising, but it makes me question the use of the term “cloud” in relation to it. Can anyone think of a public cloud PaaS offering that isn’t metered? I can’t. Metered subscription is pretty much the one criteria that’s common to every definition of PaaS and IaaS that I’ve ever read, and I’ve read quite a few. While the fact that Oracle’s PaaS offerings are subscription-based was a surprise, what was even more surprising was Jewell’s laughably bogus explanation for Oracle’s decision to stay away from metered billing. Jewell’s argument was that with metered billing, you have no idea up-front how much you’ll use, so you need a few months of usage data before you can budget. This is allegedly an inconvenience. With Oracle, in contrast, you know exactly how much you’ll be charged up-front, so you can budget right away. Now, can you spot the problem with this logic? It’s precisely when a customer has no idea up-front how much of a service he’ll use that he prefers a metered model to a tiered subscription model, because the latter requires him to estimate his usage in advance while the former does not. It’s the classic gym membership problem, where any combination of over-subscription and under-utilization means the service provider comes out on top and the consumer comes out on the bottom. Pay-as-you-go is a much better deal for users in situations where they can’t estimate their usage levels, because they don’t risk oversubscribing. Users on a metered plan can also cap their own usage internally so that they don’t go over budget. So metered billing stacks the deck in favor of the service user, while subscription stacks it in favor of the service provider.